When Katniss Everdeen volunteers to replace her sister in a deadly competition designed to remind the citizens of Panem of their oppression, she has no idea that she will become the symbol of a rebellion that will change the world forever. At first, it seems like struggling to survive in the arenas of the Hunger Games is challenge enough, but as President Snow's hold on the populace begins to crumble, she faces figuring out who she can trust, and horrifying questions about what the rebellion will sacrifice in order to overthrow the Capitol — and whether they will become as heartless as the rulers they hated. Experience the epic adventure of The Hunger Games — from start to finish with all four films and over fourteen hours of special features! 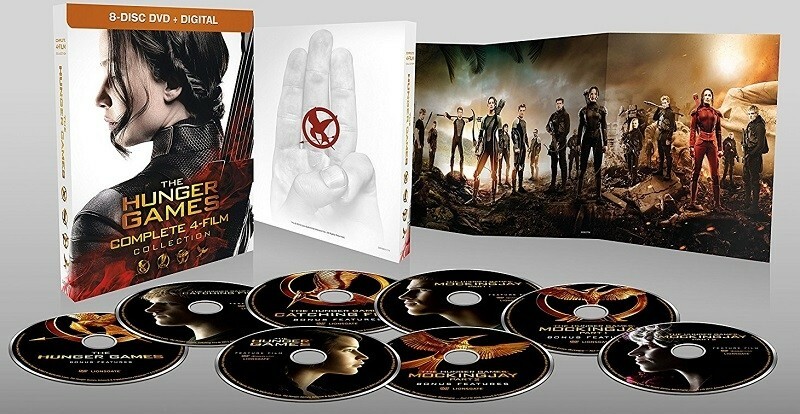 Included are The Hunger Games, Catching Fire, Mockingjay Part 1, and Mockingjay Part 2. 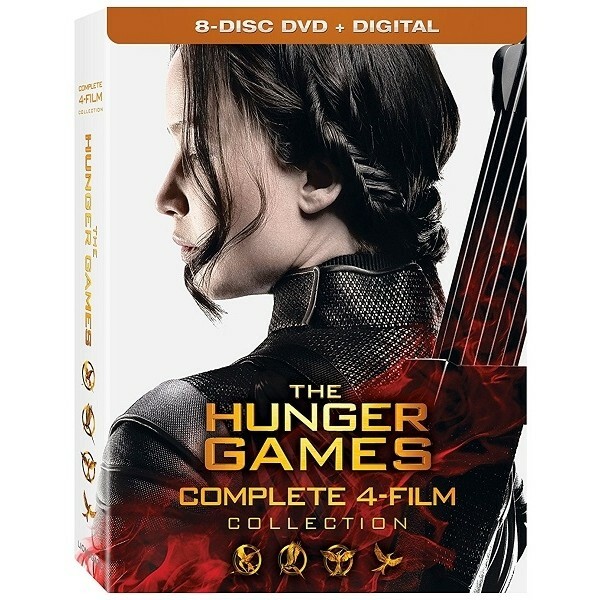 This box set includes 8 DVDs, plus codes for digital downloads of all four films. 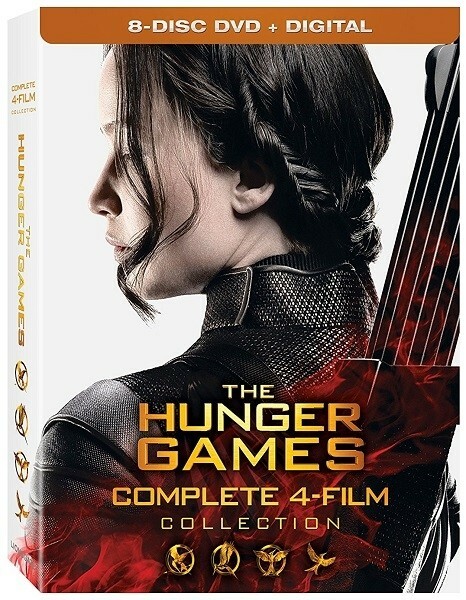 For more products featuring characters from this best-selling book and movie series, visit our Katniss Everdeen Collection.